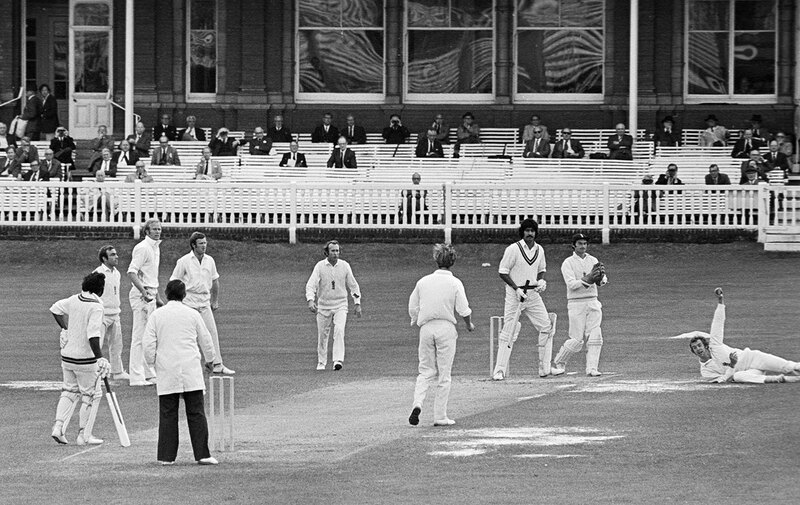 For all the sledging, accusations of cheating, ball-tampering and general bad behaviour, cricket remains a polite sport, one in which the bowling side has to put in a request to receive a wicket. 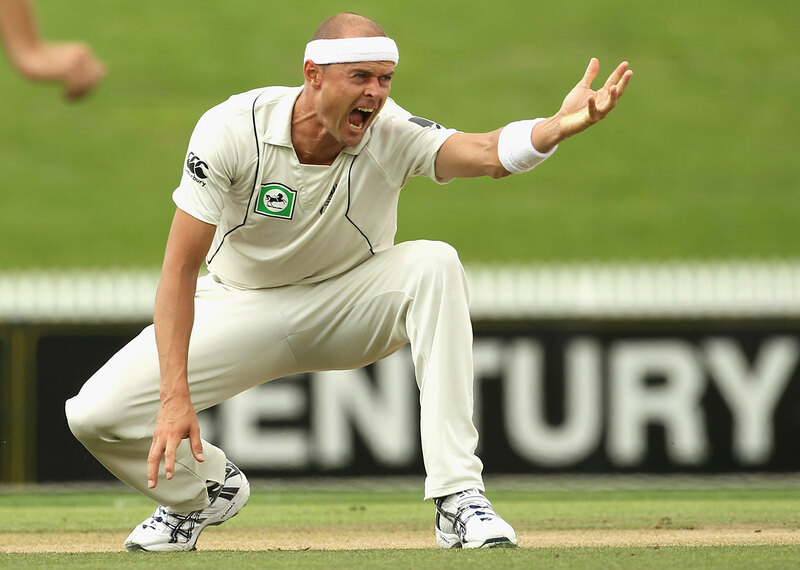 Over the years, however, the requests have gone from solicitations to urgent beseeching to high-decibel assaults on the umpire's psyche. 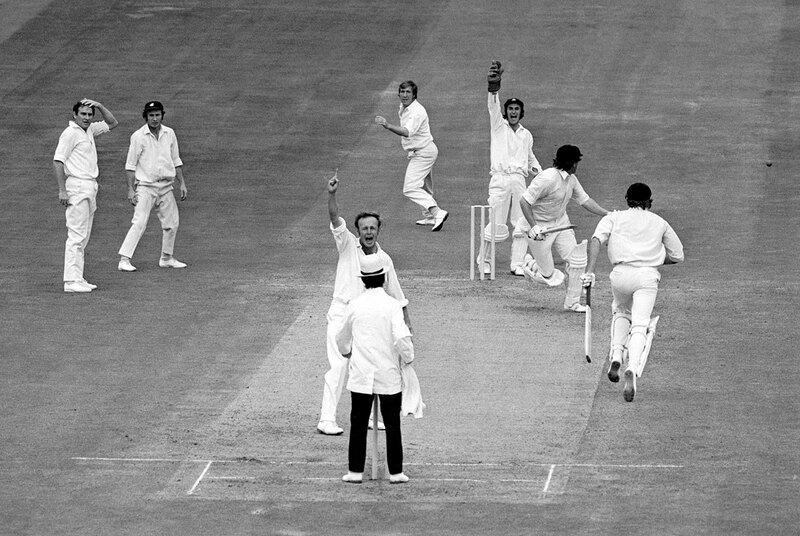 Above: Jim Laker flashes a grin at the umpire for the wicket of Ian Craig (No. 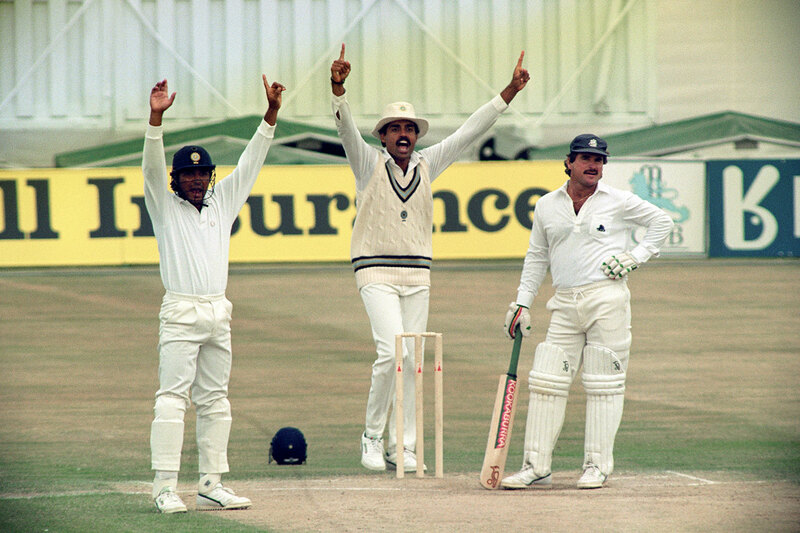 3 in his historic ten-for, and No. 12 for the match) at Old Trafford, 1956. 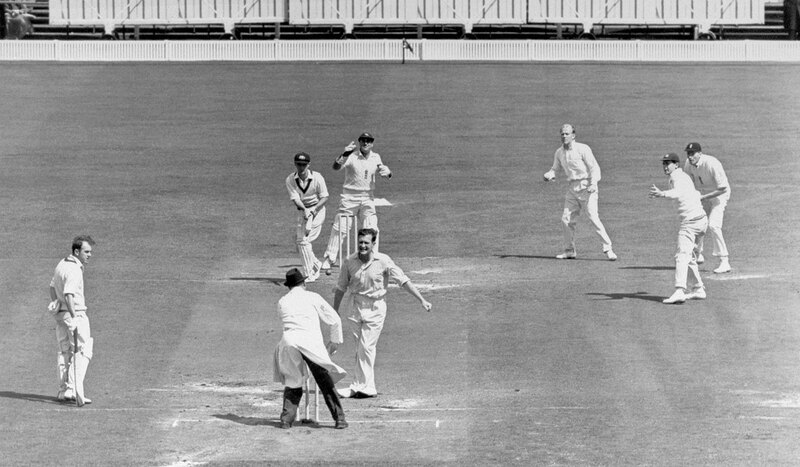 Jack Iverson raises a tentative hand as he asks for a caught-behind against Len Hutton in Melbourne, 1950. 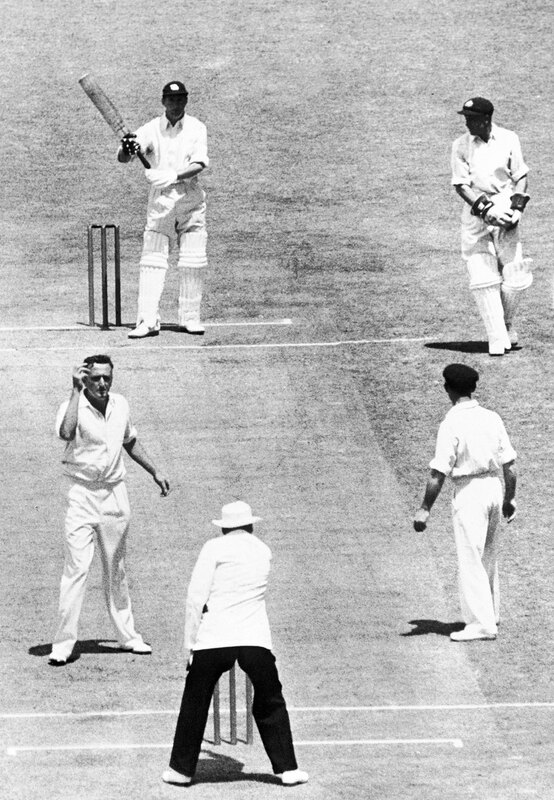 Derek Underwood is positively in the umpire's face while appealing for an lbw against Keith Stackpole at Headingley, 1972. 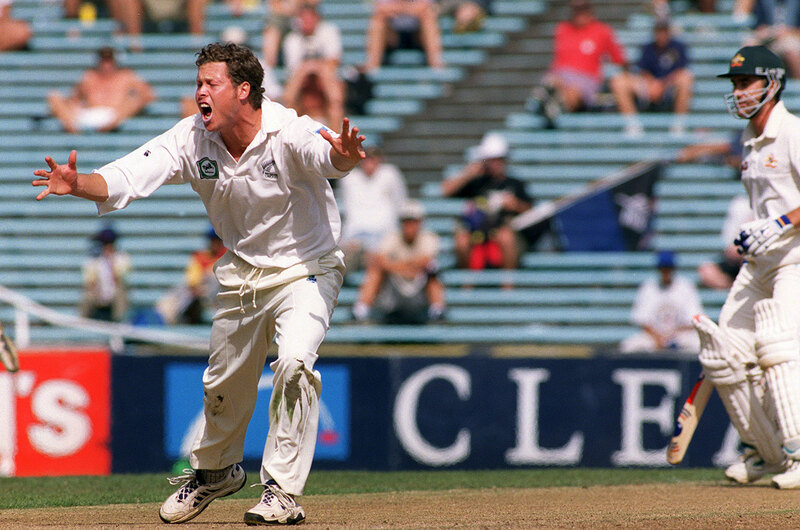 Paul Wiseman just about bursts a vessel in his effort to get a decision against Justin Langer in Auckland, 2000. 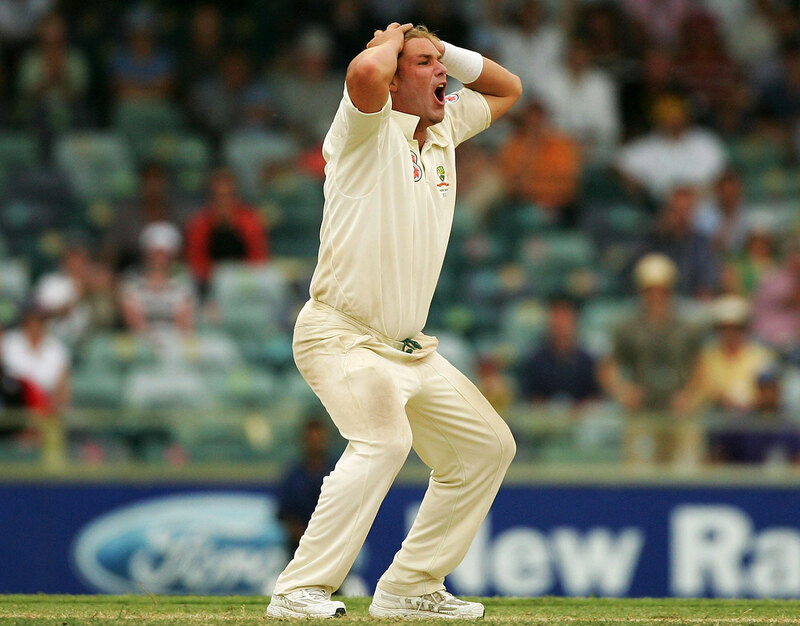 Stuart Broad does a scarecrow impression - which is better than the times he simply went on to celebrate a dismissal without turning around to check with the umpire. 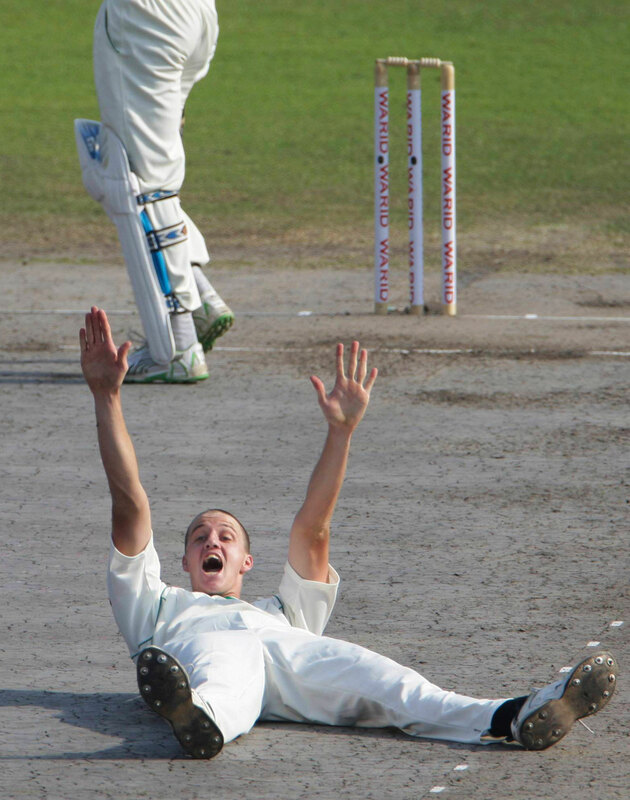 Yes, you need to check with the umpire. No, you don't actually have to be facing him when you ask. Method No. 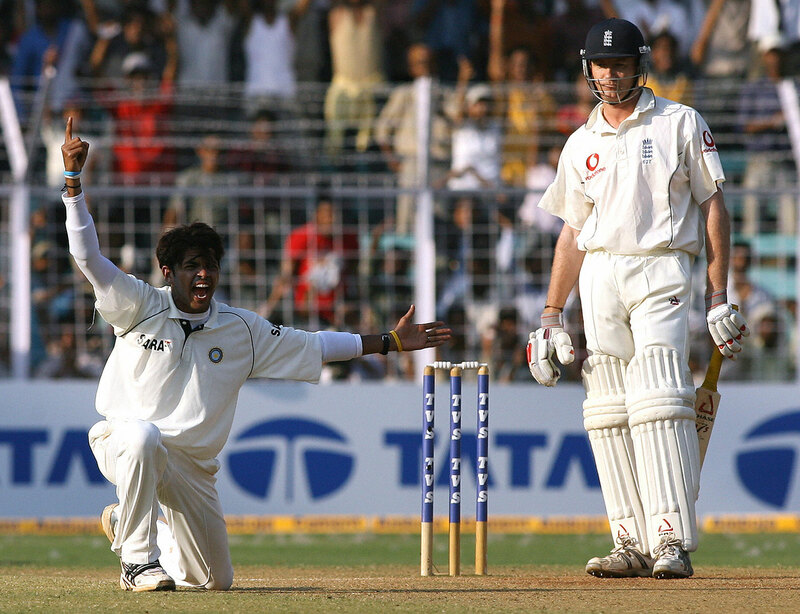 57: the angry traffic cop, as depicted here by Sreesanth. Chris Martin does an opera singer imitation. Or maybe it's a Braveheart impression? 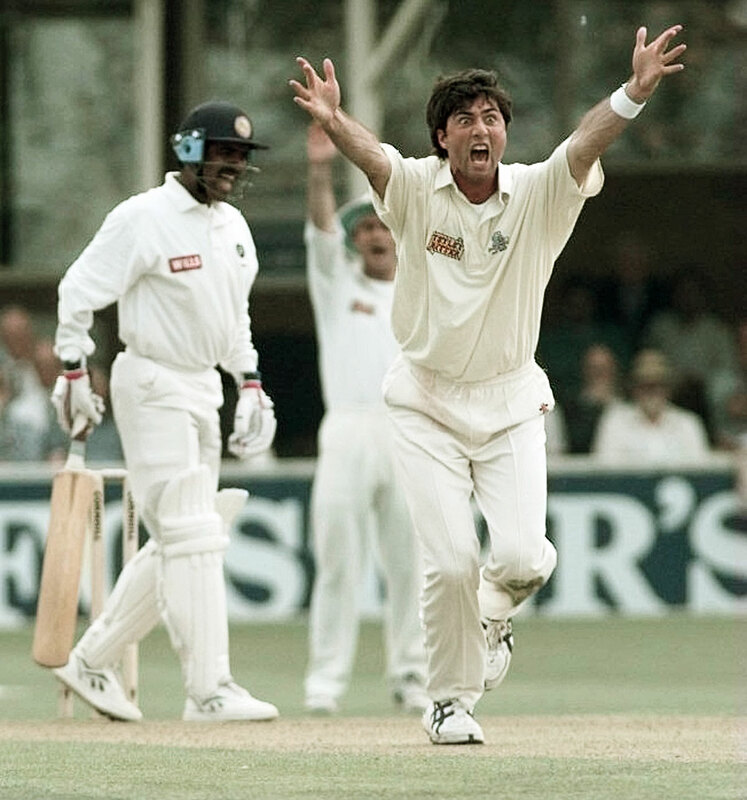 Allan Lamb demonstrates the sort of look every batsman should adopt while any sort of appeal is on. 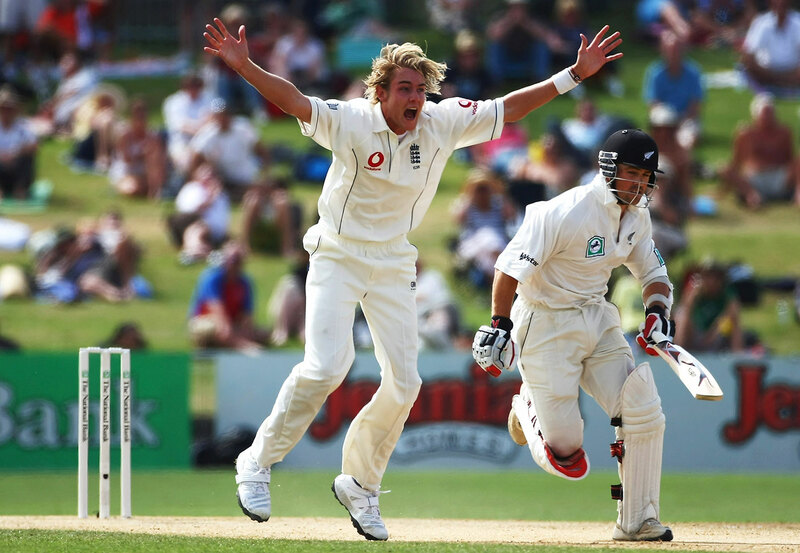 What works better: synchronised appealing? Or the two-in-one appeal: relaxing your tired back and legs while making a case for yourself? 1. By looking at him like he's the slasher trying to disembowel you in a horror flick (above). 2. By annoying him with a starfish pose. 4. By drawing the wool over your own eyes. 5. By doing the "Oh no, I left my iPhone charger at home" pose. And sometimes it's just better to appeal to a higher authority. 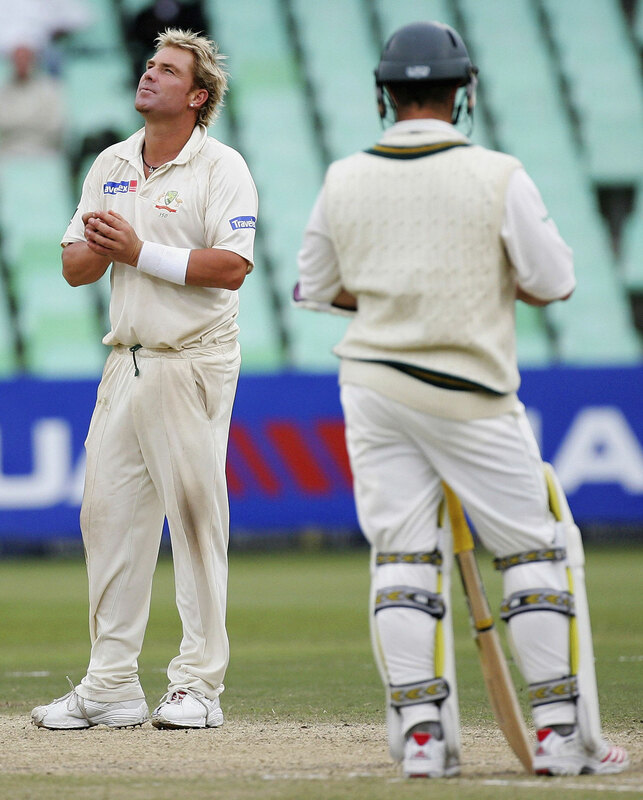 How successful are players in getting the umpire to look at their appeals favourably?